REGISTER with The Australasian Yoga Institute: We are a self-regulating Yoga Register based on yogic principles. 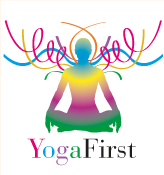 What we have is not simply a list of professionally trained Yoga teachers. It also stands as a bulwark against the dilution of yoga by way of the standardization and regulation that threatens the rich diversity of yoga. We allow you to honour your own philosophical and practical approach to yoga, while ensuring that these practicalities are based on core yogic principles upon which Yoga, no matter which kind, IS AND MUST BE BASED. Why Register with THE AUSTRALASIAN YOGA INSTITUTE? PLEASE, PLEASE CHECK YOUR REGISTRATION. Are you currently a member? Thank you all the students who have responded to this call. Registration says you are a member of our school (and proud to be so), and at the very least the income received from the cost of registration allows us to give out scholarships, and help others in their desire to teach. We have a wonderful lineage that goes back through one of the first Yoga teachers in Australia, Margrit Segesman who founded the Gita School. Her lineage leads back to India and Tibet. Support us by being a fabulous teacher, and in time Affiliating with us, and taking our traditions into a complete Teacher Training School of your own.